Shawn Hardy, the chef/owner (with wife Noelle) of Mess Hall, has found the perfect way to combine his love of food and dedication to serving our country at the Mess Hall, which is now nearly two years old. Open Monday through Friday 6 am to 7 pm, with a brief 1.5 hour interlude in the afternoon to prep for dinner service, the former Navy culinary specialist makes it his mission to put simple but hearty scratch cooking on the table for customers throughout the day. The Mess Hall posts a weekly menu to Facebook and its website that shares the nightly dinner option -- of which there is only one. Take it or leave it, and regardless of what's served, it is all $9.25 per serving. This week's dinner menu lineup: Chicken Cordon Bleu on Monday, Taco Tuesday, shrimp scampi on Wednesday, roast beef for Thursday, and fish and chips for Friday. Each comes with a side or two. There are also daily lunch specials that lean towards a piece of protein between two slices of carbohydrate. And the menu includes a lineup of hand-held sandwiches typically paired with a cold salad, for $6.60 or less. According to past conversations with Hardy, he works to source breads, produce, and meat as locally as possible. Whatever is leftover from the day prior in terms of soups or dinner specials are sold at half-price in a small cooler by the door. But when I go to Mess Hall, I'm going for breakfast. There were many nights as a farm kid with two full-time working parents (my mother went back to college when I was in second grade, and both parents served on school boards and in the local fire department) where dinner was a slapdash effort, and some version of eggs and toast was the quickest way to get food on the table and keep everyone happy. Meat from Sunday's roast was chopped into a simple hash, or a package of chipped beef could be folded into a simple milk-butter-flour-salt-pepper gravy and poured over bread. 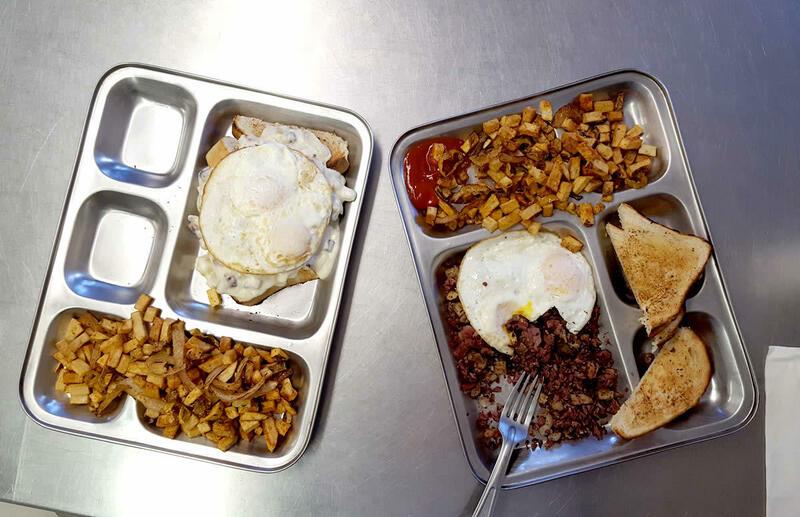 The Charlie Foxtrot breakfast plate at Mess Hall captures that same experience -- the military, too, needs to figure logistics into cooking to make filling food that is cheap and easy. 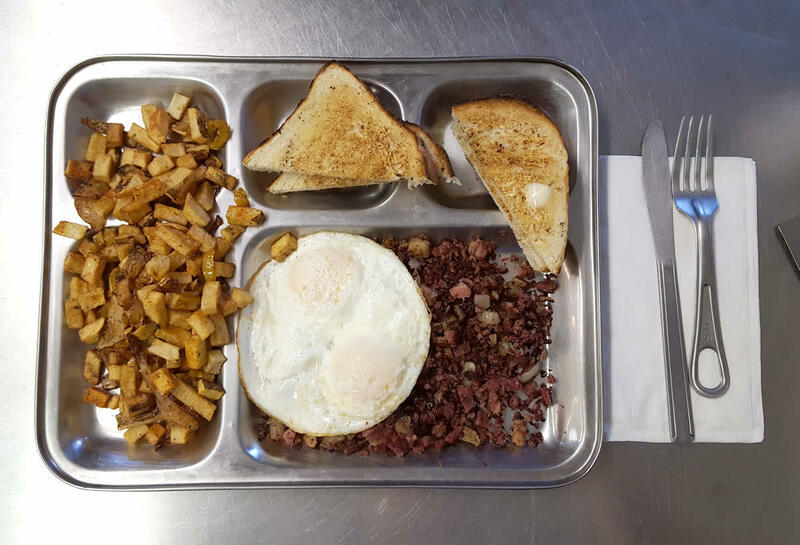 For $6.60, two eggs, toast, corned beef hash and homefries comes served on a stainless steel divided plate. 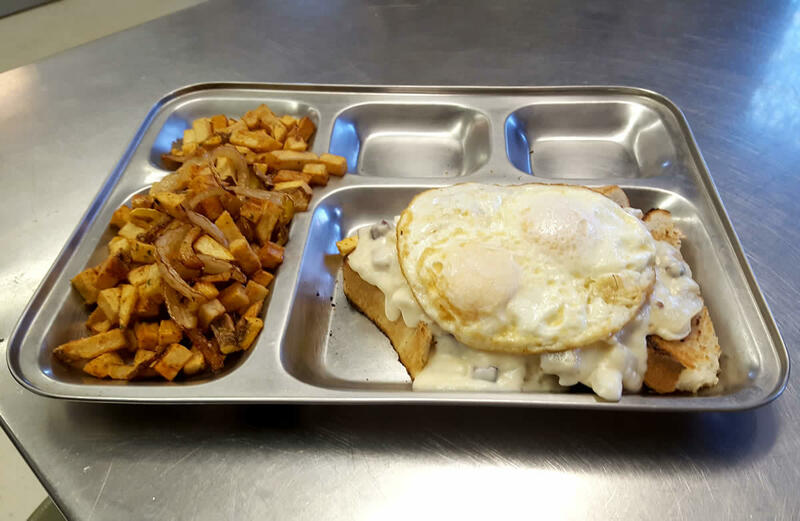 The SOS (for the same price) features white toast topped with creamed chipped beef and fried eggs. 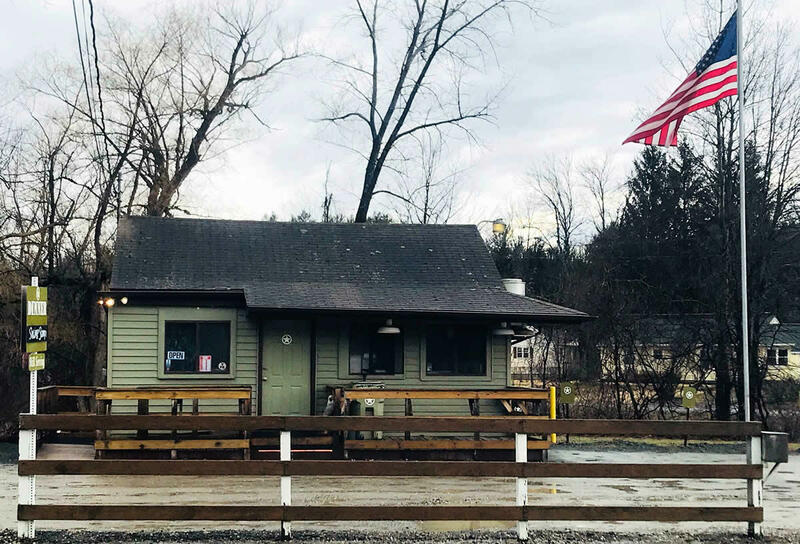 It would be easy to make it sloppy, but it's done with every ounce of military precision expected from a place that is outfitted in olive drab and war memorabilia. The only fault I can knock off points for is inconsistent marketing -- sometimes it's called Mess Hall, or Mess Hall 518, or MESSHALL. But that's more of a first-to-the-table conundrum when it comes to naming rights than anything to do with the quality of the operation. In fact, I'd go so far as to say that every town should have their own Mess Hall, where good from-scratch food at a fair price is available on the regular. The owners of this place deserve your support! Great food people and business! This place is a must-visit jewel. The food incites an exclamation point with every bite. A piece of protein between two slices of carbohydrate. Um, that would be known as a "sandwich."